After a few weeks of "The Usual Suspects" the weather has got warmer and some more interesting moths are appearing. As I moved to Worcestershire from Warwickshire at the end of last Summer I'm not sure what to expect from this garden but one nice thing is that most are New for Site as this is my first spring here. I also had some nice Firsts for me in the shape of Tawny Pinion and Blossom Underwing. 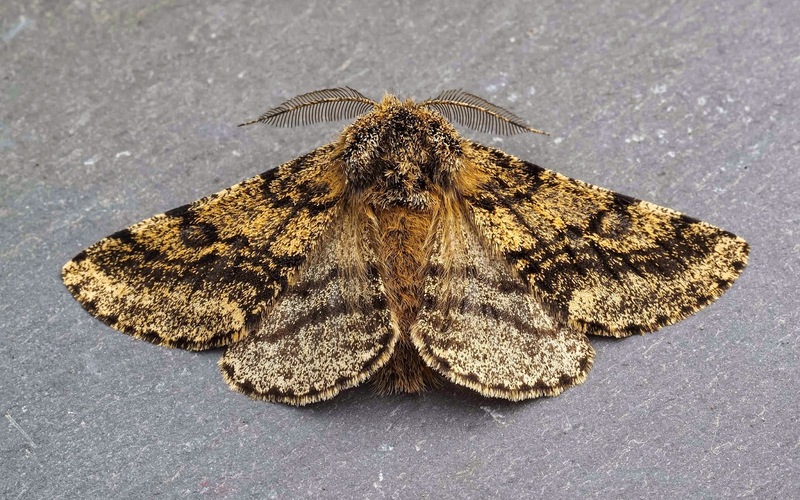 Welcome Pete, that looks a lovely fresh Brindled Beauty and Blossom Underwing is one I would like to have on my garden list. 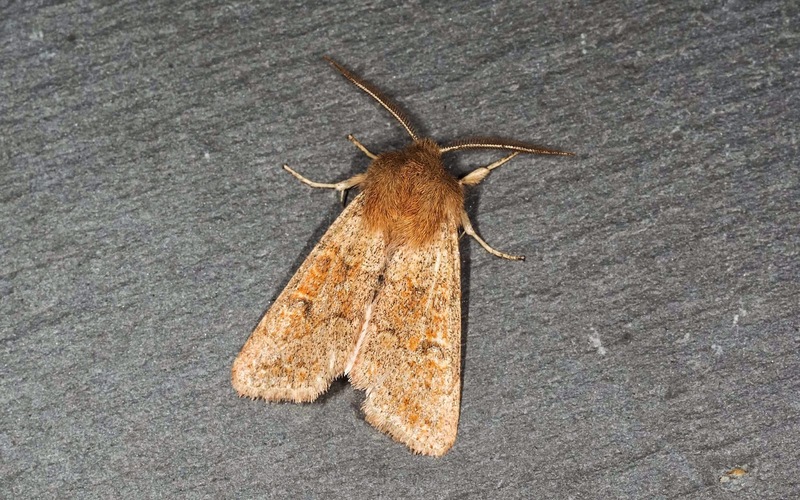 Did we meet at the Dodford Gardening Club back in January, or was that someone else new to the area with an interest in moths? Hi Patrick, yes that was me at the Gardening Club enjoying your presentation. I think the chances of two moth enthusiasts moving into the village is slim :-). Yes I was pleased with the Blossom Underwing and very nearly overlooked it as a Common Quaker at first glance. I thought it had to be you! 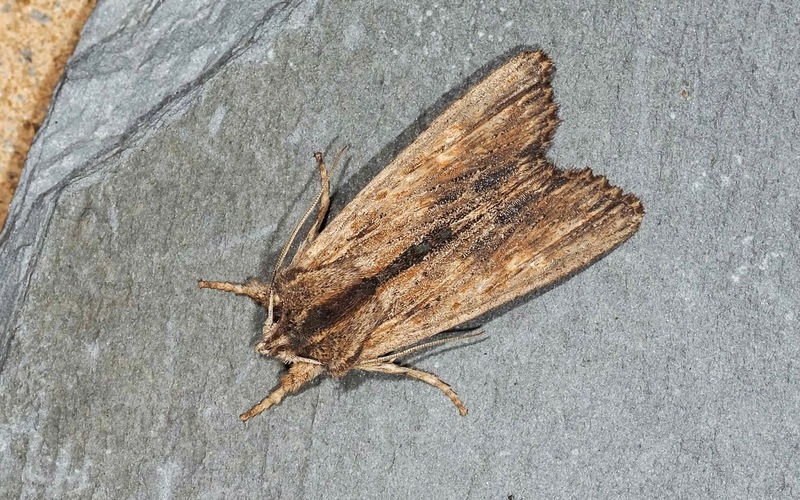 You may well be content discovering which moths you have in your new garden at the moment but should you wish to lose hours of sleep, light-trapping out in the field, just let it be known. There is always something going on. HaHa, I have already taken the first steps down that slippery slope having attended the last 2 of Alan Priors Monthly Chaddesley Woods events. Very enjoyable too.